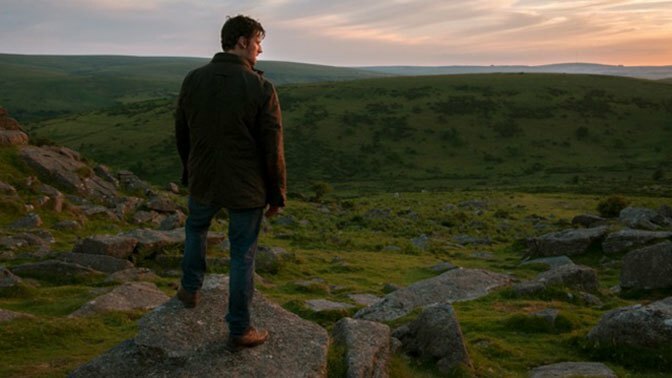 There could be no better venue to launch a psychological thriller set on Dartmoor than Dartmoor itself, and that’s exactly where Dartmoor Killing is having its premiere. In conjunction with the Dartington Barn cinema, Dartmoor Killing will get its world premiere outing at Newbridge, Poundsgate, Dartmoor. There will be a delicious BBQ (meat & veg options), bar courtesy of New Lion Brewery, cakes & sweet treats. Plus special guests, and members of the cast and crew will be on site to meet the audience. Oh, and it’s a cracking film, to boot. Director Peter Nicholson, who grew up in Dartington, was keen to keep the atmospheric presence of Dartmoor centre-stage. “British moorland is deeply embedded in our culture and psyche, from the Brontes and Conan Doyle to the horror associated with Saddleworth Moor; it’s both romantic and mysterious but also dangerous and threatening,” he said. The film stars Gemma-Leah Devereux, Rebecca Night, Callum Blue and David Hayman; and follows ‘two 20-something friends who are led into a web of mind games, sexual deceit and betrayal when they meet an enigmatic stranger on a weekend trip’. And here’s the blurb from the Dartington site: ‘Susan, outwardly confident and Becky, more fragile and shy, are inseparable friends – but both women have secrets they have not shared; some recent, some long past and deeply buried. Dartmoor Killing is on Dartmoor on Friday, Saturday, Sunday, September 4, 5, and 6, 2015. From 6pm to 11pm. From there, the film will be seen throughout the South West and the country, ⁬with the Merlin Group most recently adding three further sites: Falmouth, Ilfracombe and Kingsbridge. For details more of the travel, times and to buy tickets for Killing Dartmoor on Dartmoor National Park, pop over to the Dartington Barn site.